This Bean Soup Recipe will save the day when you’re "in a bind and short on time!" 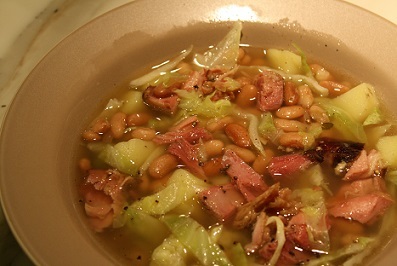 This bean and cabbage soup restaurant recipe is really a quick and easy one, but the results are truly tasty. Preparation time: 15 minutes. 12 servings. That's all there is to this restaurant soup recipe. YOU'RE DONE! Here are a couple of options for this soup. You can substitute packaged Cole slaw in place of the head of cabbage. Make this restaurant soup recipe and serve it with my cornbread! I'm pleased you want recipes that work like this restaurant soup recipe. All my recipes "work." 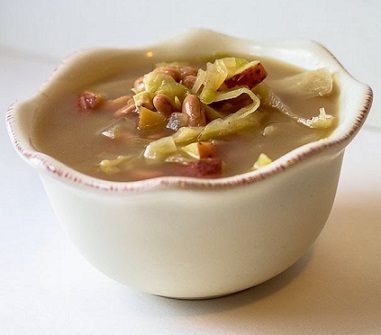 With this bean and cabbage soup recipe you can cook with confidence and style! Thank you for visiting the website. Don't forget to "surf" back here often. More favorite restaurant recipes are added frequently. Enjoy your soup recipe and the company of those you share it with!